Situational awareness: The markets got smoked today. The Dow was down 3%, and the NASDAQ nearly 4%. President Trump dubbed himself a "Tariff Man" today, but the people he listens to are increasingly concerned the China trade war might not have his desired result. Driving the news: Hawkish former Pentagon official Mike Pillsbury is worried Trump's negotiations with China are unraveling, telling Axios' Jonathan Swan that "there's a risk the deal will come undone." "I have advised the president's team that for the past 40 years the American side avoids disclosing Chinese concessions before the final agreed written statement is released," Pillsbury told Swan in a phone interview today. Why it matters: Trump has called Pillsbury "probably the leading authority on China" and the two reportedly huddled in the Oval Office the day before the president left for his G20 meeting with President Xi. Between the lines: Pillsbury told Swan he's "getting warnings from knowledgable Chinese about the American claims of concessions" that the Chinese have said they never made. 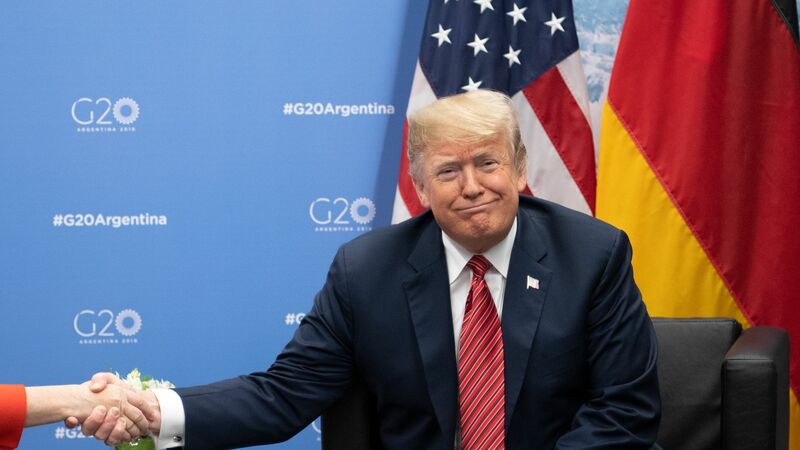 These contradictions include U.S. claims that the Chinese agreed to "immediately" address their most egregious industrial behavior, to "immediately" restart purchases of U.S. agriculture, and to slash tariffs on American cars. The bottom line: It's never easy dealing with the Chinese. They routinely abuse trade laws and steal from U.S. businesses, and Trump is right that his predecessors failed to adequately confront Beijing. 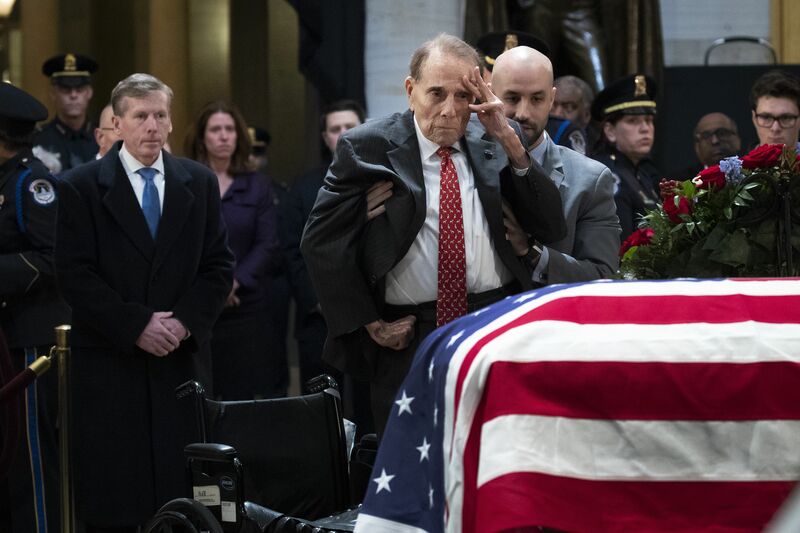 Former Senator Bob Dole, 95, stands up and salutes the casket of the late former President George H.W. Bush. (Video). All 29 NATO member states have accused Russia of violating the 1987 Intermediate-Range Nuclear Forces (INF) treaty by developing and fielding a prohibited missile system. Go deeper. Thousands of sensitive emails from the NRCC were stolen in a hack earlier this year, Politico reported. Axios' Joe Uchill wrote a "what we know and don't know" based on the news. Senators left a briefing with CIA director Gina Haspel confident in taking action against Saudi Arabia in the wake of the murder of journalist Jamal Khashoggi. What they're saying. Rep.-elect Rashida Tlaib plans to lead a congressional delegation to the occupied West Bank next year, breaking with the traditional visit to Israel for newly elected members of Congress. Go deeper. Deck the halls with decorators: "Tired of time getting tangled in holiday lights, some are hiring pros to deck their walls," USA Today reports. "For those who can afford it, hiring an expert is worth the extra cost, according to Michelle Simkiss Dunk, a 43-year-old owner of two businesses and mother of two teenage girls. " "The holiday decorating industry is ripe with around-the-clock experts and design enthusiasts who can do everything from install lights on third-story rooftops to hand-make 6-foot-tall wreaths. " Be smart: "While [decorator Kim Scribner] charges between $100 to $175 per hour depending on the task, she said you can get the expert decorated look without paying a premium by using Google Images and Pinterest."